We’re entering the calm before the storm: those first few weeks in November before the holiday shopping season officially kicks off. Brace yourself – the 2015 holiday season is going to be huge. That means you have a small window of opportunity to boost your success this year. Today we’re starting out with a big one – solving the problem of online returns. The National Retail Federation is predicting $630.5 billion in November-December sales for 2015, a solid 3.7 percent increase from 2014. As part of that statistic, they’re predicting online sales to increase between 6-8 percent, reaching as much as $105 billion. In one of their surveys, they also found that Americans are planning to do about half of their holiday shopping online this year. - 85% of customers WILL NOT do repeat business with an online retailer who has a complicated or inconvenient returns policy. - 95% of customers WILL do repeat business with an online retailer who has an easy returns policy. 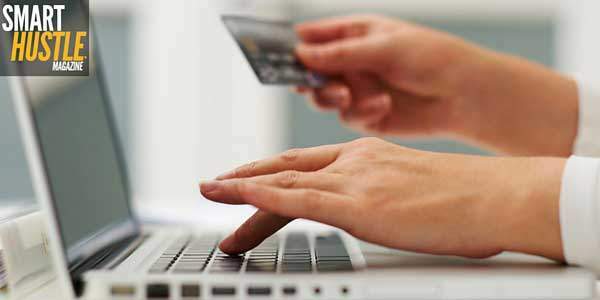 The 2015 holiday shopping forecast is great news for the online retailers among us. However, one problem that has always plagued ecommerce is online returns. Online returns aren’t as straightforward as returns for brick-and-mortar stores and they can also be quite costly and time-consuming. In addition to crafting the perfect returns policy, online retailers want to know what they can do to reduce return rate in the first place. It’s interesting to understand the flip side as well – most online shoppers don’t like dealing with online returns either, but their experience during a return will impact their overall opinion of your business. Statistics show that a customer's experience with the returns process can either make them a one-time dissatisfied customer or a loyal customer who will return again and again. Customers also want to easily find your returns policy. The UPS study found that 67 percent of customers will read a return policy before buying a product. Of those who don’t read the policy before purchase, they’ll want to find it easily and quickly if they do have to return an item. Create a clear returns policy. Use simple language that your customers will understand. State the time frame for returns. 15-30 days is typical. Define the expected condition of returns. List return requirements or steps for customers to follow when returning an item. Make your returns policy easy to find. Have it listed on the main home page or in the footer. Have it easily accessible on product pages. Consider making it part of the checkout policy. Include a copy of the policy when you ship the item. Give thoughtful and detailed product descriptions. Include product pictures from multiple angles. Use product videos to give more detail. Include customer reviews which provide more information from a user perspective. Make sure the box or envelope is suitable for the item. Use protective packaging to preserve breakable items. With these tips in mind, check out the Shore Packaging Infographic below to get more tips on reducing your return rate as well as examples of how other businesses have improved their online returns. By understanding a little more about what customers want from a returns policy and why items are being returned, you can craft a better, clearer, more user-friendly returns policy this holiday season. Follow these tips to improve your rate of online returns, as well as your customers' satisfaction with the returns process. Are You Committing These Startup Mistakes?